Charlie Swan is a fictional character in the novel Twilight by Stephenie Meyer. He is the father of Bella Swan, the protagonist of the novel. His occupation is a police officer and he is also known as Chief Swan. His hobbies include fishing with Harry Clearwater and Billy Black, as well as watching various sports on TV. Charlie married Bella's mother, Renée, just after they both graduated high school. She later had Bella, but divorced Charlie soon after. She couldn't stand the cold, dreary and wet life of living in Forks. Even after she moved to Phoenix, Charlie was still in love with her, but had gotten past the fact that she didn't love him. He became accustomed to living alone, except when Bella started to visit him in the summer. 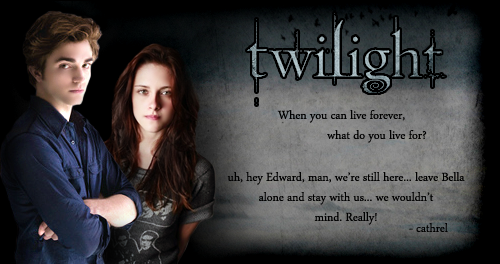 When Bella was seventeen, she moved to Forks to live with him. 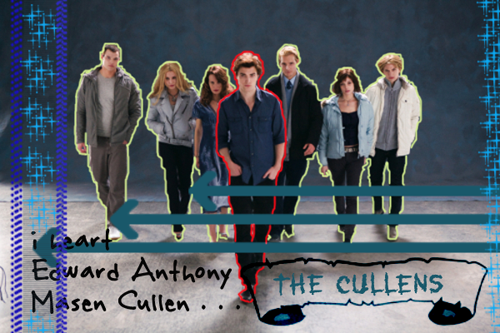 Charlie is unaware of the true nature of the Cullen family. Initially, Charlie was accepting of Edward, but after the events of New Moon he blames Edward for the deep depression that Bella went into after he left her, and holds a grudge against him as a result. Charlie is grateful to Jacob because he was a great friend to Bella during that difficult time, and has made it clear that he'd rather Bella choose Jacob over Edward. be a good vampie joe..